At this year's SXSW the hot new technology tool was location-based social network tools such as Gowalla and FourSquare. A location-based social network is a social networking platform that is built around the idea of "where you are" and you use it on your mobile phone. Your status updates are your physical location with a brief shout out or tip. You check-in and your friends know where you are. You can see who else is at that location and you can see where your friends are. And my friends can now know (if I choose to share) the mundane location-based facts of my life, like where and when I buy coffee in the morning and how often I go to the grocery store or the gym. And, when you add new places to the Foursquare database, it can get interesting. I wrote briefly about FourSquare last November when it was used for a fundraiser in NYC. There are certainly some wonderful possibilities - like putting out volunteer requests and for organizations where they want their audience or stakeholders to explore the physical space. For example, a museum could create a fun treasure hunt by having people check at specific galleries or works of art. Harvard University did an experiment with having students use it to explore the campus. Or you could have your supporters add nonprofit locations and tips to Foursquare. Allyson Kapin has an excellent post "Foursquare: Novelty or Buzz Worthy?" where she interviews nonprofit social media early adopters asking the question "Should nonprofits take a more serious look at FourSquare and explore ways to leverage it?" The answer: explore it and see if it is a good fit. Start looking at where people check in and how it overlaps with your strategic goals. I'm only just beginning to see some of the value as a personal networking tool. 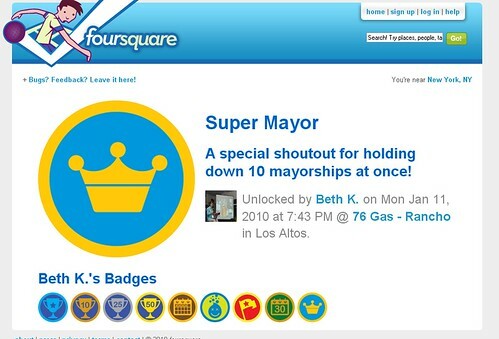 I've been dutifully "checking in" and have earned 10 mayorships (in FourSquare you are made the mayor of a location if you check more frequently than others), many badges, and reached a super user level. And while it is a cool new tool, there are important limitations to consider. Location-based social networks have just reached critical mass in the mainstream, although with partnerships with mainstream media it may just reach it this year. It wasn't until I was at SXSW where there was a critical mass of people I knew who were using the platform that FourSquare revealed some value: If your flight is delayed and your bored, and don't want to kill time alone, you could find your friends. This is exactly what happened. When I left SXSW, I used Foursquare to check into the Austin Airport. Three minutes later I got a tweet from a colleague, Robert Fabricant, who I hadn't seen since we were on the faculty at PopTech and didn't realize was attending SXSW. Then I got a dm from Paull Young who I didn't get a chance to talk to during the conference. Also delayed was another colleague, JD Lasica. So, instead of reading trashy magazines, I got a chance to have a great conversation with some colleagues. It demonstrates that you need to have a critical mass of friends using the platform in close proximity. SXSW and perhaps the NTC would be the only places where that would happen. Getting on the plane back to the Bay Area, I recognized at least 10 other people on the plane that I knew. And, ended up sitting next to Matt Stewart, Head of Marketing, Alliance for Climate Education. I was a little embarrassed because I was drinking bottled water. 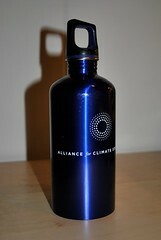 Matt later sent me the cool new water bottle. In another curious social networking twist of fate, a colleague introduced me to Matt, who is his spare time is wrote a novel on Twitter. (I tweeted about this several months ago). Matt called the planes in and out of Austin to SXSW the "nerd birds" because so many people fly in to SXSW that the planes are filled with geeks. Have you found personal value in using Foursquare? What was it? What value could it provide your nonprofit organization? As I’ve been experimenting with FourSquare, I keep thinking about what applications it might have for volunteer organizations. What might it mean to become The Mayor of a service project? Could volunteers earn rewards generated through cause marketing corporate partnerships? Volunteers who check in five times at the local foodbank earn a free latte? Obviously there are some types of service projects that don’t fit with a geo-locating software. Some locations are secret for a reason, but many are not. Could the growing FourSquare trend enhance volunteer recruitment? Because I can easily add text to my check-ins and synchronize these posts with my Facebook and Twitter accounts, I wonder if adding “we still need five volunteers” to my service project check in message would draw more assistance in real time. And what if FourSquare check-ins could be integrated with volunteer management databases? Could check-ins then serve as confirmation of volunteer attendance at a project? If so, could volunteer organizations more easily track participation and calculate overall impact with the assistance of this tool? Quick! Someone get me on the phone with Dennis Crowley! (@dens) and help me to pull together a team of crack pro-bono developers to build a FourSquare volunteer management plug in! Great post - I love your writing style Beth. I too am struggling to find value. I may have to be better about checking in at #10NTC. I also worry that this will become the next "I'm eating a ham sandwich" of Twitter. I see so much potential for small businesses but not so much for nonprofits. I've written a lot about how nonprofits can use Foursquare to raise money via cause marketing programs. A great example of this is the Paypal/Microsoft partnership at SXSW just a couple weeks ago. I think what really comes through all my posts is that location based services will play a key role for fundraisers, especially cause marketers, in the years ahead. Best to get on board now. 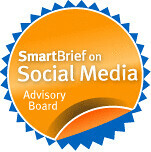 P. S. I'm wititing a post for Philanthropy.com next week on how nonprofits can use 4sq. I hope to share some new insights. As I always note, I wish this could be easier to implement in Nicaragua! With so few iPhone users, it's really a shame that Foursquare can't get bigger down here. Trying to use my imagination though, Nicaragua would be a wonderful place to use the app. Not only would it help promote different local sites and get locals/tourists alike to visit different places around the country, but it could help promote non-profits projects that are located far and wide by creating campaigns and rewards for volunteers to visit as many projects as possible within a limited amount of time.